Disney And NASA Collaborator Adds AR And MR Content To Its Roster. LOS ANGELES - April 30, 2018 - PRLog -- Prosper VR, an immersive content studio specializing in cutting edge virtual reality and interactive technology, announced today its latest venture into augmented and mixed reality under the expanded company name, Prosper XR. The company, co-founded by Jessie Kim & Tim Lambert, is known for its high quality VR work as well as Prosper's groundbreaking patented robotics and rovers that enable dynamic moving shots. "Immersive content is a great way for brands to scale experiences to their audiences. Our clients are hungry for new, effective ways to engage people," said Jessie Kim, Co-Founder and CEO of Prosper XR. We took this opportunity to expand our services to include Augmented and Mixed Reality expanding from our mastery in Virtual Reality. Prosper XR exists at the intersection of traditional media, Virtual Reality, Augmented Reality, and Mixed Reality." Prosper XR, founded as Prosper VR in 2016, is based in Los Angeles and has notably produced media for household brands such as Disney, Netflix, Hulu, Samsung, Live Nation, Buzzfeed, Nikon, PETA, General Motors and Google. In celebration of the expansion, Prosper XR will be unveiling several new initiatives at VRLA this May. 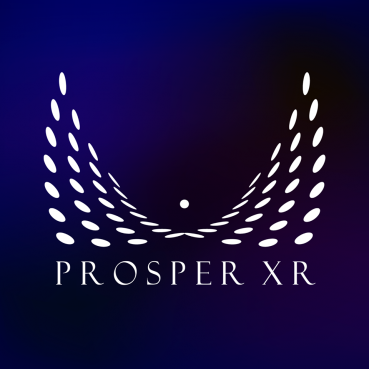 The first of these is Prosper XR's leadership in spearheading the XR Alliance Competition, a first-of-its-kind storytelling contest that aims to help develop the language of writing for interactive and linear VR, AR, and MR content. The alliance includes judges who are pioneers in immersive content. In addition, the company will debut its latest top of the line robotics and rovers, as well as an AR app, where users can view a historic oil painting of the Colorado Bridge in Los Angeles and watch it transform into a vision of the future complete with android humans, flying cars, and more. Founded in 2016 by Jessie Kim and Tim Lambert, Prosper XR (http://prosperxr.com/) is an immersive content creation studio and full service production company that specializes in robotics. Their unique combination of traditional and immersive content has collectively generated over 11M organic views in the past year.